The Bed Bug Barrier system really does work. In September 2018 I was fortunate enough to travel overseas for work however I was not prepared for the fall out when I returned to Australia. Apparently, there were a few stowaways in my luggage and it took around one to two weeks for the bites to appear. At first, I thought maybe an allergy but alas no! 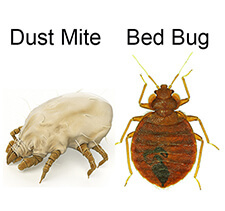 After researching on the internet I came across the Bed Bug Barrier system so I placed an order. Within 5 to 7 days upon receipt and application of the products, my nightmare was over. Immediate impact and success! I have a king size bed ensemble and the mattress protectors and bed leg barriers brought immediate comfort to my body and mind. The pillowcase protectors are amazing. They don’t rustle and you sleep so soundly. I also would have found it difficult to apply the dust if I hadn’t bought the dust bulb applicator. Great little gadget! The steamer worked magic as I treated my suitcase and wooden framed sofa couch too. Also, the support provided by Tony and his team is second to none! I not only emailed them, but I also called them direct and they answered all my questions. They even followed up a month later to ensure I was satisfied! Now that is customer service! My only regret is that I didn’t order the products when I first noticed I was being bitten. Instead, I initially wasted a couple of hundred dollars with a Pest control company using chemicals – and spent almost two months suffering from bites – lesson learned! I highly recommend the Bed Bug Barrier system to any person or business looking for a total bed bug eradication system and to future proof your residence.